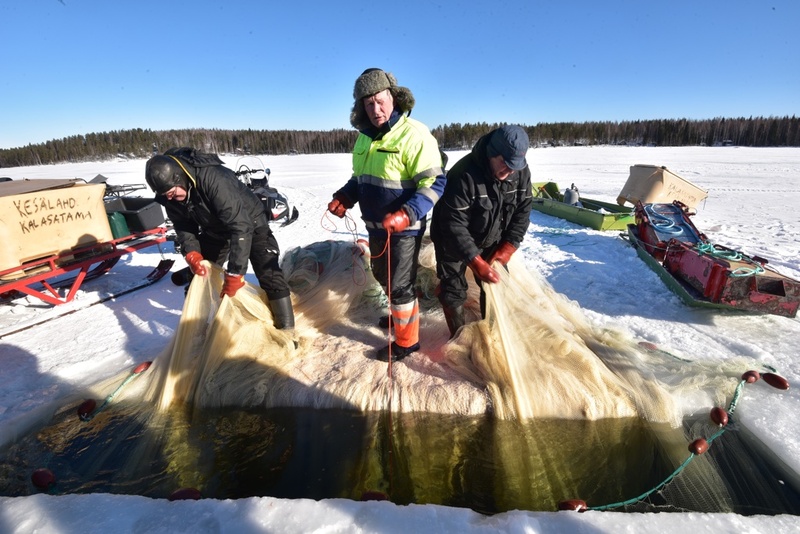 Seining on Puruvesi, March 2019. Ashish Kothari and Aili Pyhälä from the ICCA Consortium visited Snowchange HQ and operations in March. Ashish has released a ICCA -related blog entry of the visit, which is available here. In other news, the NORDIA science journal features an open access Snowchange-related paper on oral histories. This paper explores the question of what constitutes endemic evaluation, genuine success and engagement of Indigenous peoples and their communal oral histories. The materials discussed are derived from a range of oral history processes in the boreal and in the Arctic. Having long been an elusive and marginalized method of conveying cultural knowledge, oral history is enjoying emerging recognition in assessments of biodiversity, natural resources and climate change. As early as the 1970s, the Mackenzie Pipeline Inquiry utilized the oral histories of the Inuvialuit, Dene and Gwitchin. At its best, oral history does what it is supposed to do – makes invisible histories visible. Paper available here.